A few weeks ago I entered a video into the DigitalRev.TV competition on Youtube. As announced in an earlier post, I did not make first price but got one of the runner-up prices they were giving away. 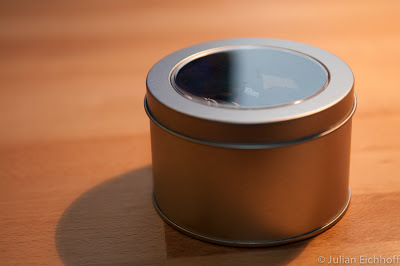 First item… a mysterious black thingy in a nice tin can. Yes ! It is actually a miniature Nikon camera. 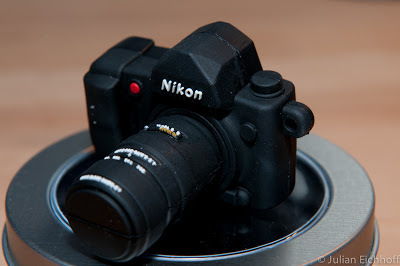 Now that’s what you call a “micro Nikkor”…. 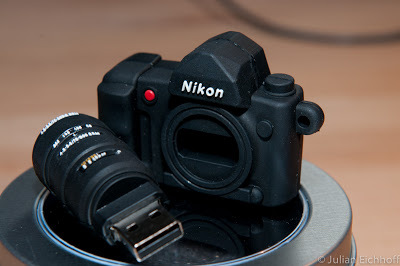 The camera is actually a USB pen drive with 2 GB. This is very very nerdy. I like it. 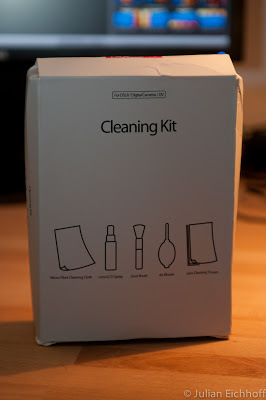 Second item in the package is a camera cleaning kit. Contents: Micro-fibre cleaning cloth, Lens/LCD Spray, Dust brush, Air-Blower and Lens cleaning tissues. Neat ! Thank you very much to DigitalRev for these prices !